One of the drawbacks for anyone who's learning about Pagan religions around the world is that there are so many different sets of practices and beliefs. Combine that with the fact that various regions have different climates (and that seasonal holidays fall six months apart on opposite sides of the planet) and you can see how discussions about Sabbats and agricultural cycles can get puzzling very quickly! Inevitably, several times a year, you might feel like some of the information posted online didn't quite coincide with the weather outside your window. Let's face it, many of us have read articles about planting at Beltane, on May 1, and thought to ourselves, "Wait a minute, I can't plant stuff here until the third week of May!" Or have you ever wondered why you're celebrating a harvest Sabbat in September, when you don't normally pick your crops until mid-October where you live? It's also important to note that some traditions celebrate their Sabbats based upon astronomical/astrological dates rather than calendar markers, so while the official Neopagan calendar may say that Beltane falls on May 1, it may actually be on a different date altogether for these traditions. Here's a tip: if you don't own a copy of the Farmer's Almanac, go get one. It will have all kinds of things each year that you should know. The fact is that while the standard Pagan/Wiccan calendar is a good guideline–and what helps keep things organized for many Pagan websites–not everyone has the same things going on, agriculturally speaking, at the same time. This is why it's so important to attune yourself to the cycle of seasons where you live. Take, for example, Ostara, which falls around March 21 in the Northern Hemisphere. Traditionally, this Sabbat is marked as a precursor of spring, and on the calendar, it's actually considered the first day of the new season. Things aren't really warm enough yet to be considered spring-y, but in the Midwest, you can often see little bits of green poking through the frost. But what if you live in, say, Bozeman, Montana? You might be buried under three feet of snow on March 21, and have another month before anything begins to melt. That's not very spring-like at all, is it? Meanwhile, your cousin who lives outside of Miami has got her garden already planted, she has tropical plants surrounding her lanai, and she's been celebrating spring since the end of February. What about Lammas/Lughnasadh? Traditionally, this is the grain harvest festival, held on August 1. For someone who lives in the Midwest or the plains states, this might be pretty accurate. But how about someone up in Maine or northern Ontario? It might be a couple of weeks more before grain is ready to harvest. So how do we celebrate according to a calendar, when the season and weather are telling us something different? Chelsea lives in South Carolina. She plants vegetables during the first week of May, so she celebrates Beltane on May 1. However, she's able to gather her first harvest in mid-July, so she celebrates Lammas around July 15, rather than waiting until August. Sheldon lives in an area of Hawaii that produces a lot of coffee. In his region, the last of the coffee beans are collected around November 1, so he ties his harvest celebrations in with Samhain. Angie says that for her, she knows spring has returned when she hears birds whistling in the trees… usually around the middle of April. In central Ohio, Tiffany marks Mabon with the harvest at the apple orchard down the road during the first week of October. She also does her planting on May 15, because that's the first frost-free date in her area, so she celebrates Beltane then instead of May 1. Seamus works on a ranch in Oklahoma, and he marks Imbolc as the time of the spring lambing–which for him, is actually around early March, rather than the traditional February 1. So, while we may be "on the calendar" celebrating a particular Sabbat or season, it's entirely possible that Mother Nature has other ideas in your area. That's okay–the important part of agricultural Sabbat celebrations is not to check off a date on a calendar, but to understand the meaning and history behind the holiday itself. If the word "harvest" to you means "picking apples in October," then it's perfectly fine to celebrate the harvest in October, and not on September 21. Learn about the climate and seasonal cycles in your area, and how they apply to you. Once you've become attuned to these natural changes, you'll be easier able to celebrate the Sabbats at a time which is most appropriate for you. Pay attention to the phases of the moon. Know what's happening in the skies, and notice how (or if) it affects the way you feel. Start a garden. Few things get you as connected to the earth as digging your hands in the soil, planting a few seeds, and helping them grow. Spend as much time outside as possible. Find a favorite park or trail, and visit it every month during the different times of year. 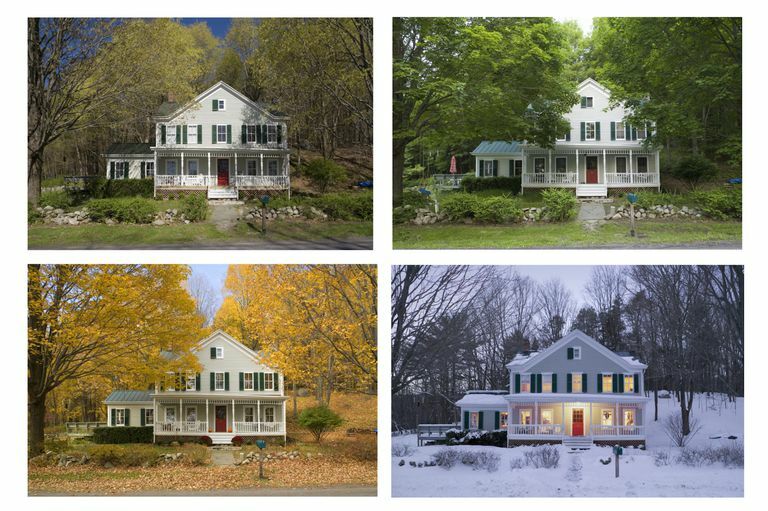 Take photos, so you can see how certain landmarks change according to seasons. Trust your instinct. If you're thinking about celebrating the planting season at Beltane, and May 1 just doesn't "feel right" to you because it's still too cold to put seeds in the ground, then wait. The time will come eventually. Be a steward of the environment. Try to live in an ecologically conscious way. Taking care of the earth, water, and air around you will help you become more aware of changes, rhythms and patterns within them. Keep a weather journal. Jot down what you see happening outside, whether it's rain, extreme heat, or a beautiful breezy day. This will help you get a feel for climate patterns in your area. Finally, don't turn up your nose at the idea of celebrating non-traditional holidays in addition to the eight major Neopagan sabbats.